I am a huge lover of a Lush pamper night in. I love taking the time to run a nice hot bath, grabbing some of my favourite skincare goodies and taking a soak with a Lush bath bomb and a good book. I went into Lush last week for a look at their new Autumn collection and ended up leaving with two new bath time beauties. 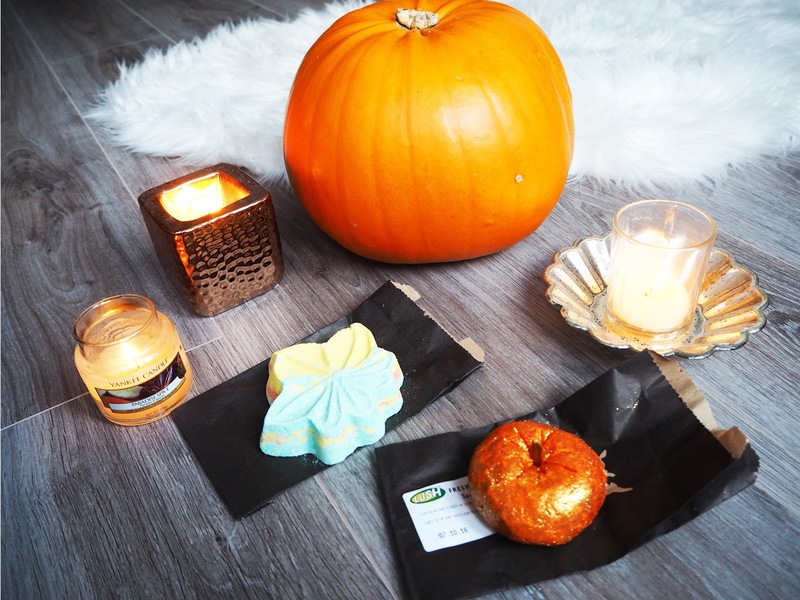 The first one I picked up was the the iconic orange, pumpkin shaped glittery bubble bar. It looks so cute and smells absolutely amazing. It contains Lime Oil, Juniperberry Oil and Grapefruit Oil which creates a beautiful citrus concoction. They cost £3.95 each, however, the idea behind a Lush Bubble Bar is that you crumble the product with your hands under the running tap so that it froths and bubbles into your bath. Therefor, only a small amount is needed per bath, unless you enjoy copious amounts of bubbles. 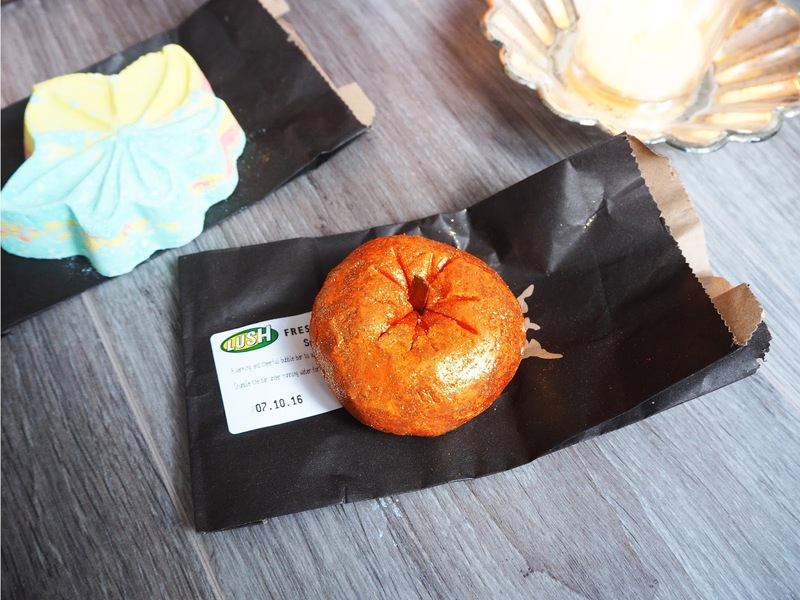 The second product I picked up from Lush's new collection was the Autumn Leaf Bath Bomb. These are £3.75 each and are made up with a lovely mixture of Sandalwood oil, Japanese Maple Sap, and Bergamot Oil which provides a very fresh scent. 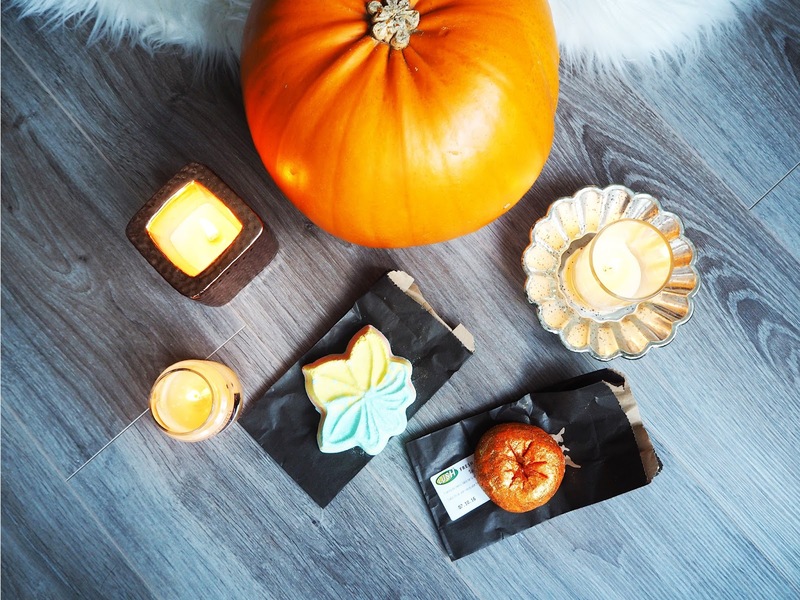 The bath bomb is a leaf shape that has a lovely autumnal colour palette of red, yellow and green in a marble like effect. These colours are meant to look like falling leaves when the bath bomb is put into the water and create the feeling that summer is drawing to a close and the count down to winter is approaching. 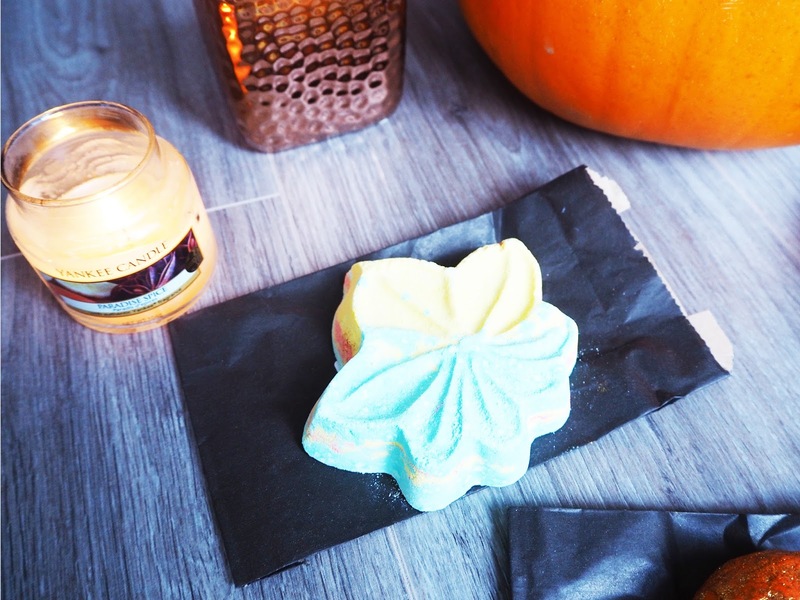 Are you a fan of a Lush bath and pamper night? What are your top picks from the new Autumnal range?